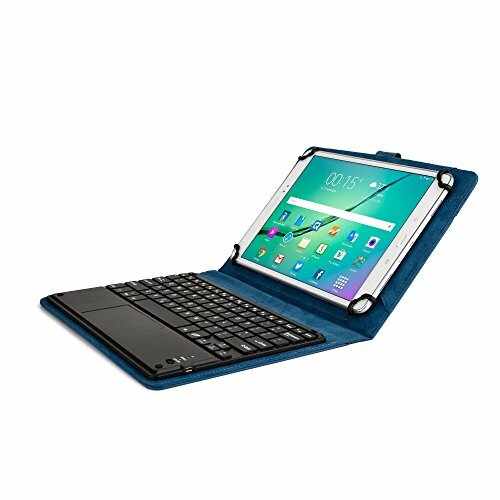 BLUETOOTH 3.0 RECHARGEABLE KEYBOARD WITH TOUCHPAD MOUSE FOR HP ELITEPAD 900 1000 - QWERTY keyboard compatible with Android and Windows. Control mouse on screen with built-in touchpad (right / left mouse click on touch pad). Easy setup Bluetooth automatically connects with tablet. Features 81 laptop-like keys; 16 shortcut keys to tablet's native functions; 10m range; 100 hour rechargeable lithium battery.